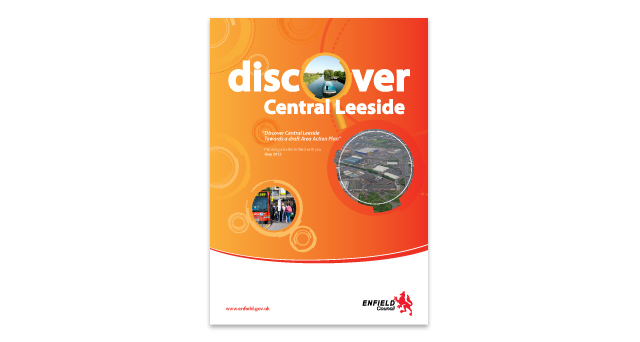 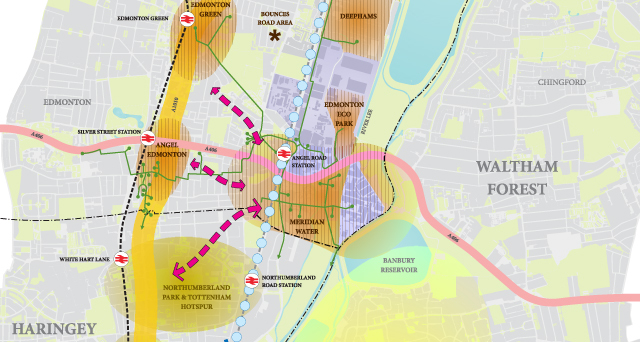 Description: Discover Central Leeside is an interim consultation document that engaged the community and stakeholders and updated on significant progress being made within the Central Leeside area. 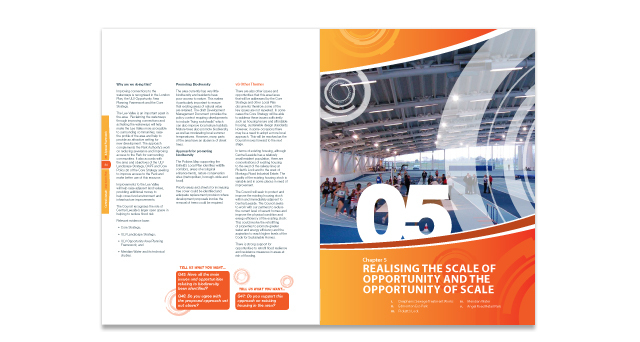 It provides an outline of the emerging Area Action Plan and its wider framework by introducing the scale of the opportunity. 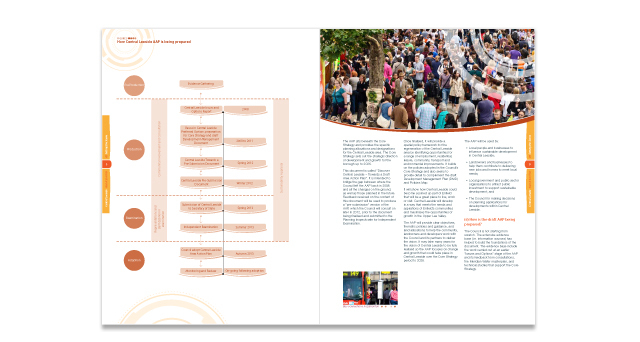 Main challenge: Produce a coherent document that promotes ambitious regeneration and development aspirations to a wide ranging audience that encouraged participation and feedback. 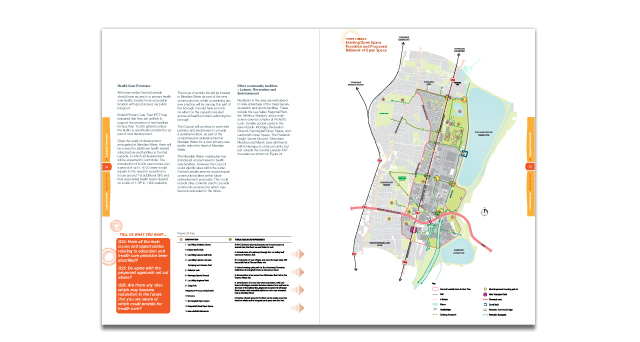 What we did: Working within the realms of Enfield’s house style, we created both a visually stimulating and accessible document. 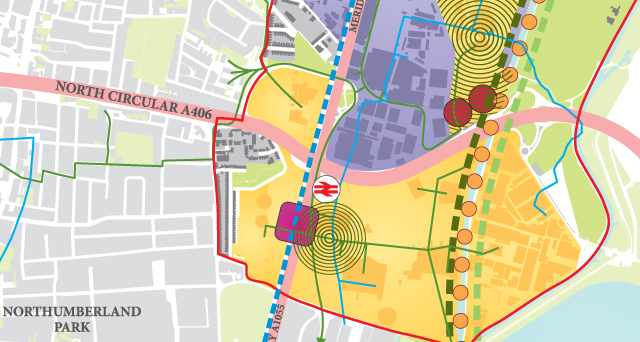 The use of Urban Graphics mapping told the story of Enfield’s strategic positioning through to its local significance and promoted its unique proposition as a North London Borough.